We got our first snow last week. It made everything magical! Did I mention I love my new house and property? It all looks cute dressed in snow! I think my house smiles. It definitely makes me smile! I think my dog barn and chicken shed are adorable too! 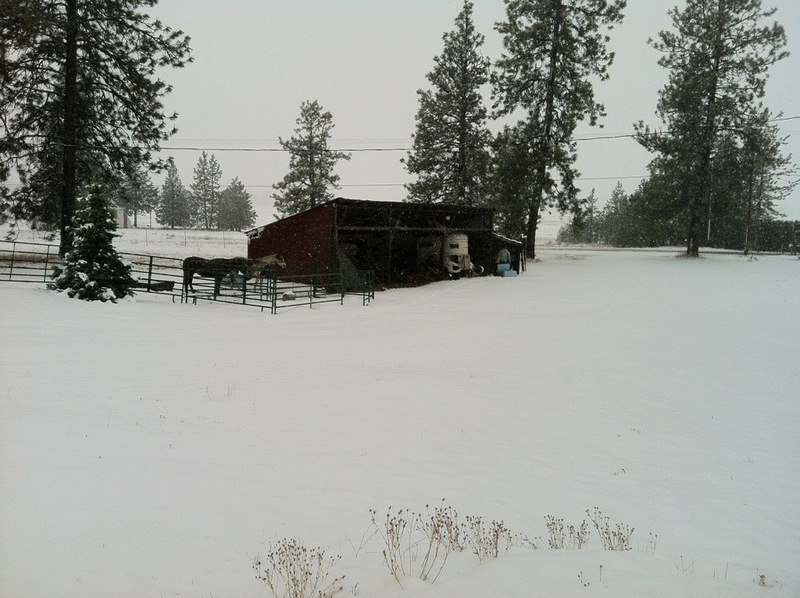 Even the machine shed and horses look good in their snow clothes! Picture edit to cut out the roof of the house that was visible when I snapped the photo of the barn and chicken house. The road to our house. I thought the lighting at that moment while I was driving was magical! The sky was so bright and fresh! This entry was posted in About Us, Wholesome Country Living. Bookmark the permalink. 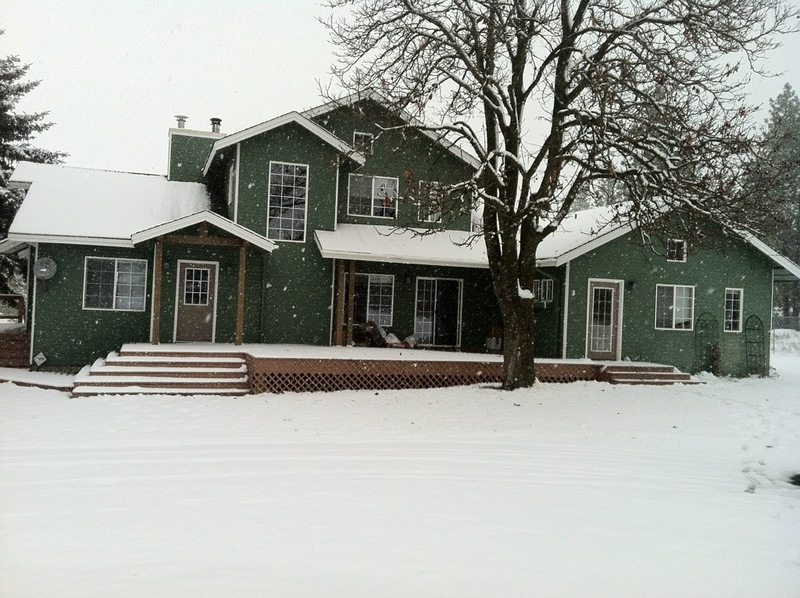 Hi Kristy, � So picturesque!� I love your house and�property with the snow! � When we came to pick up Chip, we thought that area of WA was so beautiful.� We were wondering when it got cold or started snowing. 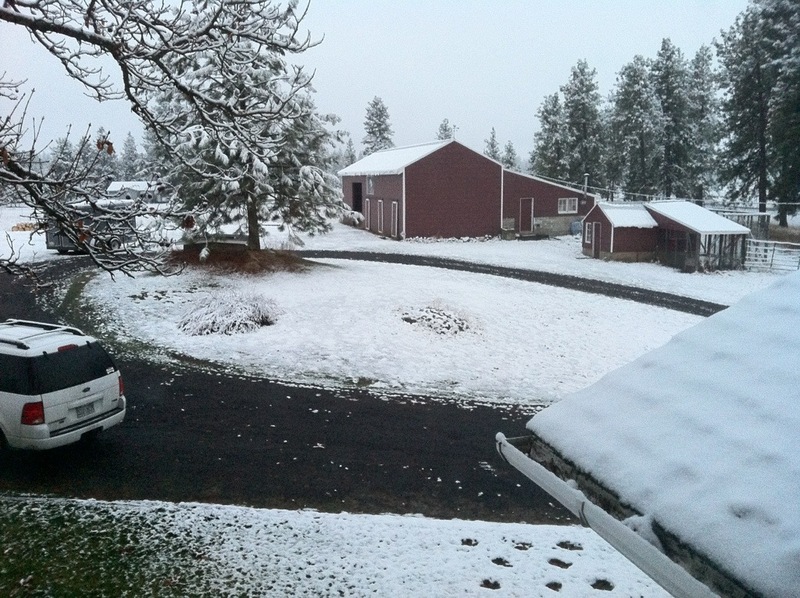 I’m glad we came to pick him up before the snow:) � Have a Happy Thanksgiving!